"The best things in life are free. The second best things are very, very expensive." This review is long overdue. I've been using Crewfaux (along with other 5K+ users) for months and have become so used to this fantastic app that I take it for granted. It is used by Wyrdos around the world. However, I believe there is still something more that can be written about it. 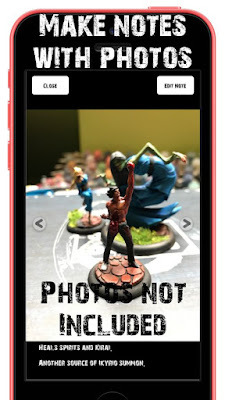 Crewfaux is a free app available for Android and iOS. It has been designed by one guy (Pawel Maczewski) who also happens to be an avid Malifaux gamer/collector. 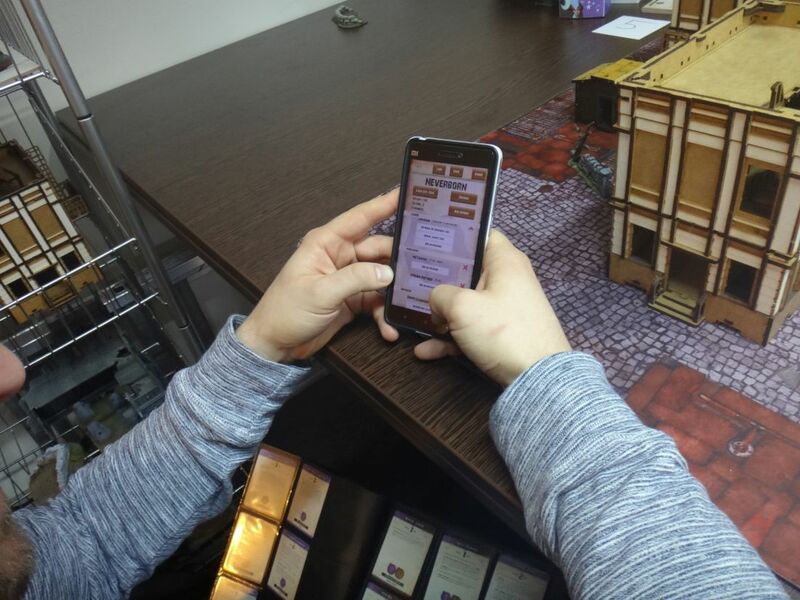 Pawel has put in more than a thousand hours of work into making Crewfaux the most handy app for Malifaux. Also, the gaming community has had a big impact on the design and functionality. 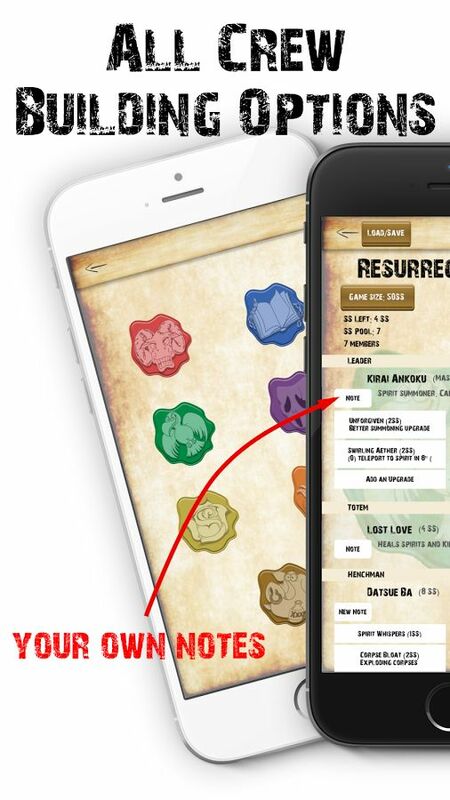 The app was initially in beta version and all feedback gathered at that stage was used to improve it. The main functions are generating Deployment, Strategy, and Schemes for an encounter and preparing your crew list. Crewfaux significantly speeds up the whole process. The layout is clear and the whole process is smooth and easy. Members of the crew are chosen from a list that is organized by faction and cost in descending order with all possible merc models added at the bottom of the list. Cost of each chosen model/upgrade is automatically subtracted from the soulstone pool that is automatically set to 50. A prepared list can be easily exported, which makes it easy to share your ideas on forums or on dedicated FB groups. 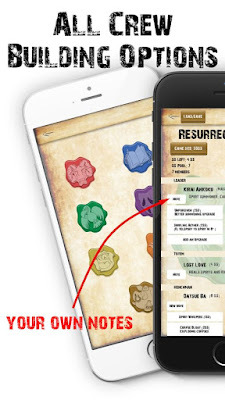 It is possible to keep track of the score in the Encounter menu by tapping and holding on a strategy and your chosen scheme. Also, there is a very useful option to quickly switch between your crew list and encounter setup, making it easy to adjust your choices before the game as you prepare your list and decide on the best choice of schemes. Also, at the start you can choose which type of Strats and Schemes you want (Standard/GG2016/GG2017). And one more thing, you can share the strategy by generating a QR code. It's a really great option, especially for tournaments. Some TOs upload these to FB events for all participants to access easily. If that's not the case, people can quickly and easily share them before the tournament. Finally, and this is probably the main thing that made me write this text - in the most recent update a new option to make notes has been added. You can write a not about a model/upgrade or take a picture. It is a fantastic option as it means that you can have the complete package in a single app on your phone - all the stats, rules, upgrades. I also want to make a disclaimer here - cards, upgrades etc. fall under IP laws and as such should not be shared and distributed publicly. Make sure you use your own resources for Crewfaux. As I've written before, the author has put in hundreds of work hours into the app. Pawel devotes his private time and financial resources into making the best Malifaux app for us, gamers. He's also a great guy - I've faced him a few times in different Malifaux tournaments and these games have always been enjoyable. Pawel has recently set up a Patreon page for Crewfaux (you can find it here). He's already announced that the app is going to stay free and only asks for some financial support there to make up for all the time and money he's had to invest into it. I think that buying him a beer (or a coke as that's his preferred drink) by declaring the minimal amount of cash there is the least that can be done to thank him for all his work. I also wanted to have some of the author's input in this review so I used this opportunity to ask him a few questions. Hi Pawel, can you tell us something about yourself? 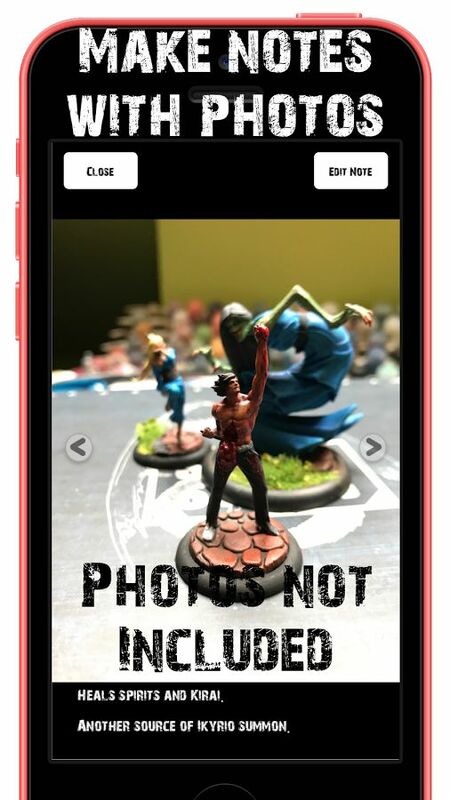 I’m almost-40 guy, husband (my wife’s actually a co-developer of CrewFaux and author of the graphics in the app), father to 3 kids (one of them plays Malifaux already, while the youngest daughter started painting her first minis recently… some fantasy Orcs and Wolsung tentacles). I work as a computer programmer, try painting and playing wargames (but I actually spend more time wondering about what I’d like to play then I really play the game). How has creating Crewfaux impacted your life? I asked my wife about it. She said something like: „When working on Crewfaux you did NOTHING ELSE”… Well, that’s not entirely true, but pretty much shows the time of most rapid development - that would be just before going to the beta stage. I also became more familiar with some of the Malifaux hiring rules - I get emails sometimes notifying me about some bug in the app, and between digging out the book, checking the rules and answering the the person - I learn a lot. What was the biggest challenge while working on Crewfaux? Biggest challenge would be working on it under the time-pressure. 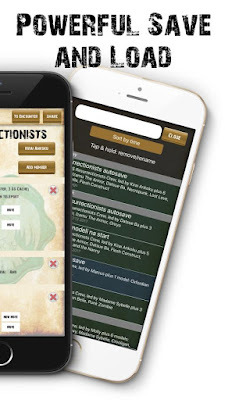 Without any official affiliation with Wyrd, I wasn’t able to get my hands on the 4th book before it got released - so I ordered it from Gencon, with fastest possible shipping to Europe and all I could do was to wait… I’ve had a few people telling me what’s there on Day 1, so I started preparing the changes to the app - but still, I had to take several days off my regular day job, dig in a basement and just stick with the app changes, just to have new models, upgrades and some of the new rules as soon as possible, for people’s games. What are your plans for the future of Crewfaux, what other options would you like to implement? There’s a long features that I’d like to see in Crewfaux. One of the most requested is the „models collection” that would allow me to mark models I own (with optional „painted” flag) so I can limit my crew selection to only the models I really have. Or I have painted. Who is your favorite Malifaux master? I stated with Rasputina and Marcus just to jump to Outcasts after one game with each of them. I owned every Outcast master, haven’t played games with all of them just to switch to Ten Thunders Lynch… And after that, Gremlins. Now Ressers. Out of all the masters I played so far I liked Jack Daw, Mah Tucket and Ulix the most. When I think about it now, I think what makes a master „my favorite” is the story behind her - both the official story, published, as well as the story I’d like to tell when I play the games. But since I started playing Ressers just recently, I guess the two BFFs, Molly and Kirai, should become my favorites now. Thanks and best of luck with the app in the future.